MEDICAL DEVICE COMPANIES THAT WISH TO SELL THEIR PRODUCTS THROUGHOUT THE EUROPEAN ECONOMIC AREA MUST OBTAIN AN ISO 13485 CERTIFICATION BY DEMONSTRATING THEIR COMPLIANCE WITH ISO 13485 REQUIREMENTS TO A NOTIFIED BODY - AN ORGANIZATION THAT PERFORMS THIRD-PARTY COMPLIANCE AUDITS OF MEDICAL DEVICE QUALITY SYSTEMS. Published for the first time in 1996 and updated most recently in 2016, the ISO 13485 requirements for medical device quality systems represents the leading global consensus on quality management for medical device companies. Although ISO 13485 is largely harmonized with ISO 9001, the broadest global standard for quality management systems, there are key differences that medical device companies should be aware of. ISO 13485 places a strong emphasis on awareness of regulatory requirements, including 21 CFR Part 820, the FDA's quality system guidelines for med device companies in the United States, and the Medical Devices Directive 93/42/EEC, which applies to medical devices in the European Union. ISO 13485:2016 places significant emphasis on risk management through the entire product life cycle of medical devices. A quality system (QMS) is a set of policies and procedures that medical device companies must establish and maintain to help ensure that their devices are safe and effective for their intended use. Quality management systems are based on the four-step Plan-Do-Check-Act system used to control and continuously improve processes over time. Medical devices are extremely diverse in their design, construction, and applications. As a result, ISO 13485 does not set detailed requirements for the design or manufacturing of devices - rather, it tells medical device manufacturers what types of policies and procedures they must establish to ensure that their products can consistently meet the requirements of the end user. WHAT ARE THE BENEFITS OF MEETING ISO 13485 REQUIREMENTS? Medical device companies that achieve compliance with the ISO 13485 requirements realize benefits in virtually all areas of business. Here are just a few highlighted benefits of building a quality management system in accordance with the requirements of ISO 13485. Medical device companies must obtain ISO 13485 certification before they can legally sell their devices in Europe. This represents a massive population of nearly 750 million people across 30+ countries. Regulators are moving towards a single QMS guideline that would allow medical device companies to sell products around the world. The Medical Device Single Audit Program will likely be based on ISO 13485, so companies that gain compliance with this recognized global standard will have a head start on entering other marketplaces around the world. ISO 13485 helps medical device companies produce safe and effective medical devices consistently. ISO 13485 contains guidelines for risk management across the product life cycle, helping companies avoid financial losses associated with product recalls or litigation. ISO 13485 contains the tools and guidance that medical device companies need to consistently improve their processes, reduce waste, operate more efficiently, allocate responsibility appropriate between staff and management, and get to market more quickly. One of the main challenges associated with meeting the ISO 13485 requirements for quality management is the quantity of document that is produced. Medical device companies must establish and maintain processes for design controls, staff training, corrective and preventive actions, manufacturing processes, materials, and more. Along with that, there's documentation of internal quality audits, clinical evaluations, the quality plan and manual, environmental controls, roles and responsibilities, analytical requirements, product requirements and the list goes on. Medical device companies used to document their quality processes on paper and keep it all in rows of filing cabinets, but with Greenlight Guru's cloud-based QMS, you can securely store and access all of your quality system documentation with the click of a button. 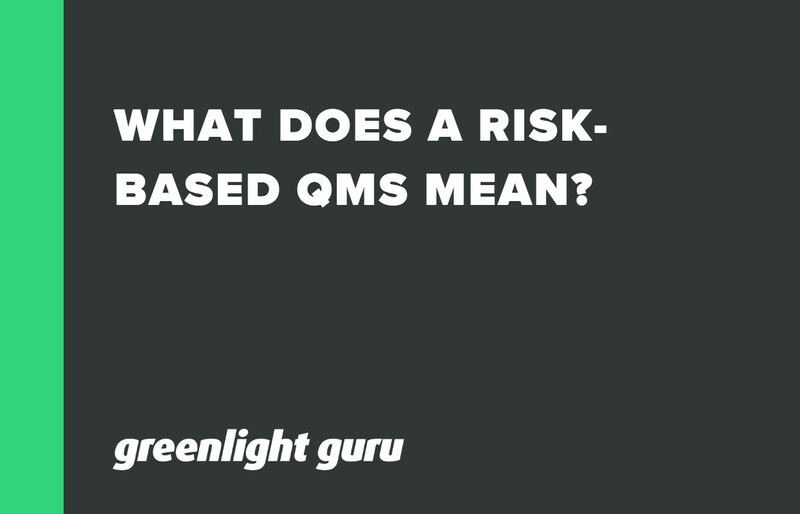 When it's time for your third-party quality audit, Greenlight Guru's Quality Management Software makes it easy for auditors to navigate your QMS and verify its compliance with ISO 13485, helping you get to market even faster. In episode 62 of the Global Medical Device Podcast, Jon Speer and Kyle Rose discuss some best practices for complying with ISO 13485:2016 now that the deadline is so tight! As a medical device manufacturer, you will be inspected. 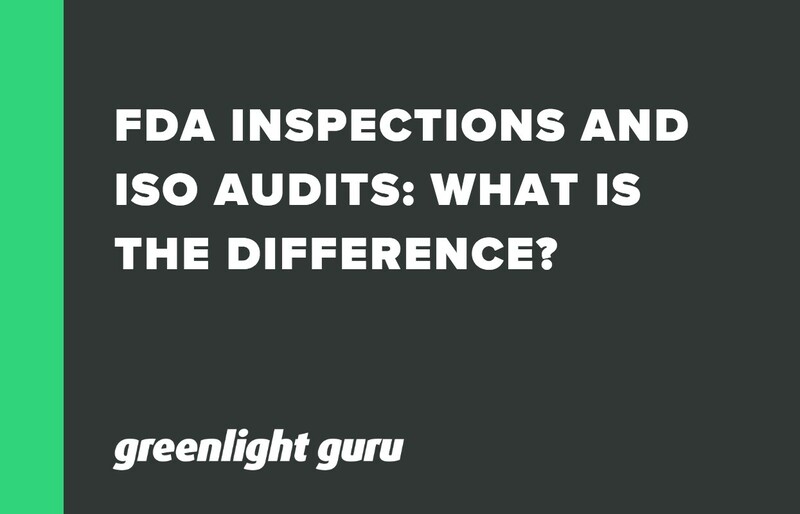 Here’s what you should know about FDA audits vs. ISO inspections.